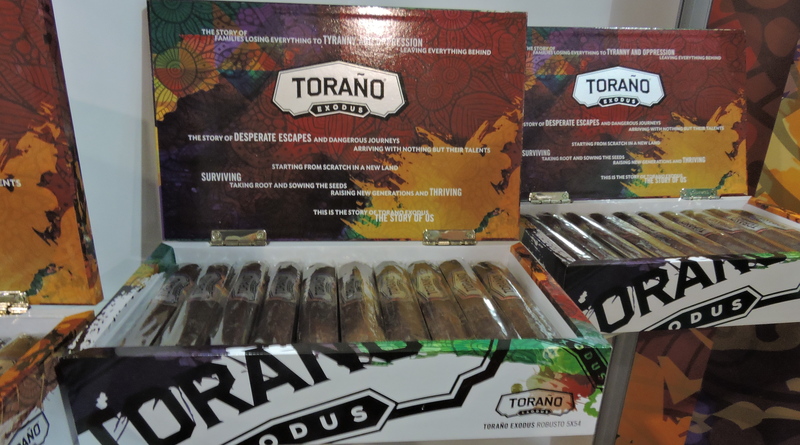 At the 2016 IPCPR Trade Show, General Cigar Company launched a new installment into the Torano Cigars’ Exodus line. This one is simply called the Torano Exodus. Exodus is a line that commemorates the Exodus of cigar families from Cuba and their impact on the cigar industry after the nationalization of all tobacco farms and cigar factories by the Cuban government in 1959. The Torano family, for whom the brand is named for was one of those families. 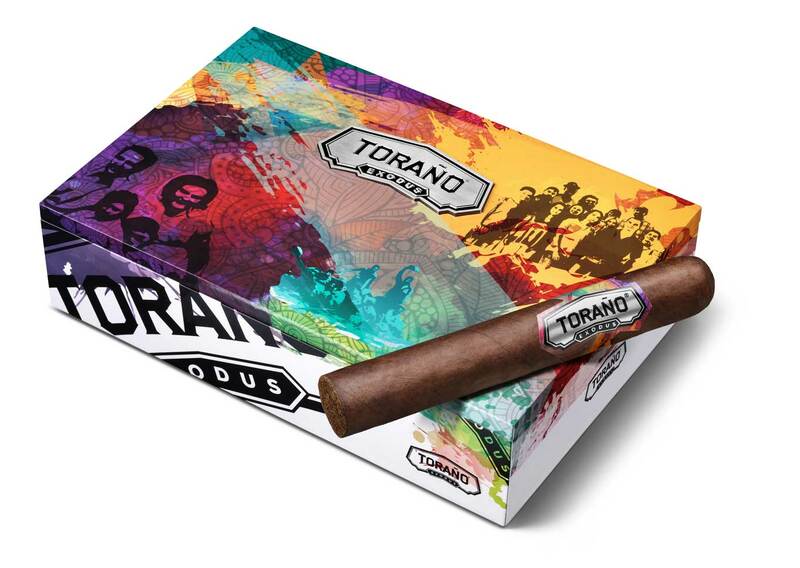 The new Torano Exodus continues to tell this story while reaching out to the more contemporary cigar enthusiast. The blend of the Torano Exodus features a proprietary seco priming leaf from the Honduran valley of San Agustin. In addition, the cigar features a Connecticut Broadleaf binder and fillers from Mexico, Honduras, and the Dominican Republic. The cigar is being launched in four vitolas: Robusto, Toro Grande, Torpedo, and Gigante. Each of the sizes are available in 20 count boxes. Visually speaking, the packaging depicts the story of the Exodus incorporated with the new Torano branding. Over the years, there have been five releases under the Exodus line. The series was launched in 2001 back when the brand was known as Carlos Torano with the Carlos Torano Exodus 1959 (Gold). This was followed up in 2002 with the Carlos Torano Exodus 1959 Silver Edition. Seven years later in 2009, a third installment was made to commemorate fifty years of the Cuban exodus with the Carlos Torano Exodus 1959 50 Years. A limited edition fourth installment was made in 2013 when the brand was known as Torano Family Cigars with the Torano Exodus 1959 Finite 2013.